Originally created in 2003 as a blogging tool rivaling the Blogger platform, WordPress today is an invaluable tool for content management in business. Although there is a wealth of content management platforms available, WordPress design is the quickest, easiest way to create and manage your online presence. Not sure where to start or short on time to do it yourself? A website design service can assist you in customizing a professional WordPress website for your business, taking care of all the technical backend stuff so you can focus on things that are more important. Let’s take a look at some of the benefits of using this leading platform for your business. 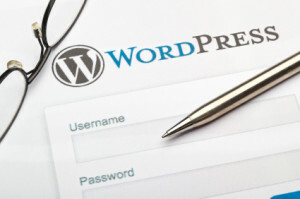 Boasting more than 15% of the top million websites in the world, WordPress is the easiest platform to use. Adding new pages, images, blog posts, etc. is a breeze with an intuitive interface that requires little to no formatting knowledge. You do not need to know HTML coding in order to manage a WordPress website, nor do you need any additional FTP software to upload images, videos or documents. 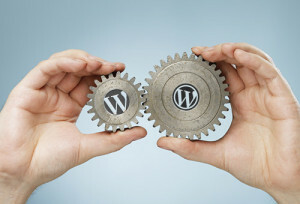 However, should you have experience with these things; WordPress allows you the ability to customize coding for a truly unique, personalized website. If you’ve spent any time at all trying to promote your business online, you know how important search engine optimization (SEO) is. Since the coding behind a WordPress site is so simple and concise, search engines are able to easily read and index the content. Also, each page, image or post can have keyword-driven meta descriptions and titles for targeted search engine optimization. To sum this up, WordPress sites typically rank higher in online search results, which means more exposure for your business. According to Google, one of the most important things a website can offer its visitors is valuable, usable content. Whether that’s through descriptive product descriptions or via a blog post, there must be information on the site readers will enjoy or find useful during their visit. Even ecommerce companies can benefit from the built in blogging feature by providing their customers with useful information, news and announcements about the products and services they sell. With a WordPress design, you have a built in blogging platform that’s easy to use to extend your company’s reach for a more dynamic and entertaining visit. The standard WordPress theme comes loaded with many great features to create a great looking, functional website, but it can be further customized with the use of plugins. Plugins (many are free or reasonably priced) are small downloadable pieces of software that enable you to add more functionality to your site. For example, you can add a Twitter Feed, video gallery or an event calendar to your website with plugins. Once your WordPress site is up and running, it will need to be maintained with regular content. Even if you don’t have time to do it yourself, you can create multiple users – each with their own log in credentials – to add content to the site. You specify how much access each user has so you don’t have to worry about anyone jeopardizing the site’s integrity. You can even adjust settings to allow you to approve or reject the users’ content before it publishes live on the Internet. Advertising on your WordPress website has never been easier. With intuitive widgets, you can place targeted ads on your site and track their success (or failure) and click-through rates. Any good business owner knows, if you aren’t using social media as a means of marketing, you aren’t doing marketing right. The masses use social media every day to find the products and services they want and need, so your business has to be there, too. WordPress makes it easy to connect your website with your social media accounts so your visitors can easily find you on Facebook, Twitter and other social media platforms. The beauty of integrating your social media pages with your WordPress website? You can set it up to update everything all at once rather than having to visit each page individually and manually updating them with your newly published content. In the beginning, your WordPress site may only contain a few pages. As it becomes established and your company grows, the site can grow with it to include hundreds of thousands of pages if you so desire. Performance is never compromised as your site grows with more pages and blog posts. As you can see, using WordPress for your company’s website is really the way to go. In terms of functionality and ease of use, it outranks all other content management platforms on the Web. If you’re interested in establishing a place to call your own on the World Wide Web, or even if you already have a website on another platform and want to migrate over (WordPress makes it simple to switch), consider hiring an expert in WordPress design to assist you in creating a professional site for your business. The benefits are numerous and with a knowledgeable website designer on your side, your company’s WordPress website will surely stand out from the others in your niche.